Don't get rid of it! Once it's gone it's gone! Whoa...lets get back to the Willoughby bodied project. I grew up in Utica, NY and even know where the Willoughby factory was. I missed a couple Willoughby's over the years, including the Willoughby bodied Model A the corporate secretary had, anyway ----- can you PLEASE advise just what this is, where and for how much it can be bought? thank you. And as for the fittings, they are not silver or nickel, just "german silver" PLATED, as most of the high end cars were of the period. 125hp, 382 cu. in. V12 L-Head, Stromberg EE22 downdraft two-barrel carburetor, three speed sliding gear transmission, four wheel longitudinal leaf springs, Bendix Duo-Servo mechanical four-wheel breaks. Wheelbase: 136"
Even though Lincoln was founded by the same man responsible for Cadillac, Henry Leland, a post WWI recession and an erroneous multi-million dollar tax bill spelled the end of Lincoln within two years of the introduction of their first automobile. In 1922, Lincoln was bought out of receivership by none other than Henry Ford. His son, Edsel Ford quickly took charge and commissioned the best American coachbuilders to create designs for Lincoln. Edsel Ford, much like Henry Leland, set high standards and left both his Lincoln engineers and the coachbuilders to realize them, applying their skill, knowledge and experience freely. The rewards of this approach became clear in 1932 with the introduction of the Model KB, a narrow angle 448 cubic inch V12-powered 145 inch wheelbase expression of the ultimate in sophistication, power and refinement. Not only was the KB luxurious, it was also a good handling road car. In 1933, a smaller V12 of 382 cubic inches was introduced as the KA, to serve as more affordable alternative to the KB. The KA V12 used offset cylinder banks, dropping the fork-and-blade connecting rods employed by Leland and every Lincoln engine to that point. Aluminum pistons were installed and the crankshaft was carried in four main bearings. The detachable cylinder heads were constructed of cast iron. This engine, while based upon the KB V12, was simpler and less expensive to produce, and yet, is considered to be the finest V12 engine ever made by Lincoln. It is no wonder that even though it is nearly three quarters of a century old, the Lincoln KA Dual Cowl Phaeton presented here still maintains its original V12. 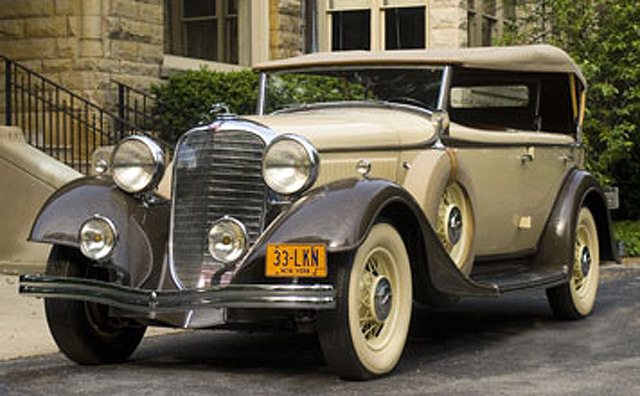 The earliest known owner of this Lincoln, which features coachwork by Dietrich, was Josephine Caeverth of Lockport, New York, who in turn sold it to the Robert C. Wood Auto Agency on March 11, 1943. Lawrence Fitzpatrick was the next to acquire the car and he did so from the Wood Agency on November 4, 1943; it is speculated that this sale was prompted by the fuel rationing during the war years. Marion Roberts from Grand Island, New York, was the next owner and he sold it to James Howe from Buffalo, New York in 1960. Mr. Howe worked on the automobile for over five years and sold it to its present owner on May 2, 1966. In 1969, the Lincoln was taken to the “Restoration Shop” in Jamesburg, New Jersey to finish the restoration. A 1934 Lincoln donor car was used procure some needed parts, Leife Drexler of Sicklerville, New Jersey crafted the Scottish leather, and a complete stainless steel exhaust system was fabricated to replicate the original design. In total the restoration took seven and a half years to complete. The efforts were rewarded on June 14, 1975 when the Lincoln received a First Junior AACA award in Frederick, Maryland and again two years later on June 25, 1977, when an AACA First Senior was awarded in Scranton, Pennsylvania. In 1983, the Lincoln was put on display in the Auburn Cord Duesenberg Museum in Auburn, Indiana, where it resided until this year. While there is some debate as to whether this is one of nine or one of twelve examples ever produced, at any rate, this Lincoln KA Dual Cowl Phaeton is an uncommon find and its sale marks a rare opportunity to acquire one of the most desirable body styles of the KA line. 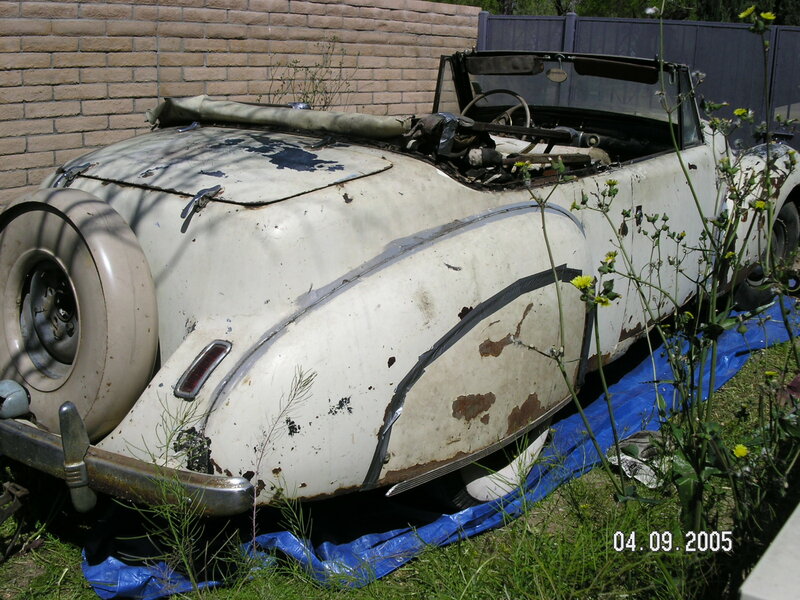 , at any rate, this Lincoln KA Dual Cowl Phaeton is an uncommon find and its sale marks a rare opportunity to acquire one of the most desirable body styles of the KA line. It seems that this is a 1933 KA Lincoln with a Dietrich body which sold for $154,000. HEY IS THAT THE PAUL DRAPER CAR WITH THE RARE (MISSING) VACUUM ANTENNA, RUSTY CAR FROM MIDWEST?? PAUL DRAPER WAS A TAP DANCER....WHAT'S THE CONNECTION?? PLAYED AT PRIVATE EBF GATHERING IN GROSSE POINTE?? MAYBE..
THAT CAR HAS BEEN IN THE SAME CONDITION FOR 25 YEARS...WHATS UP WITH THAT?? Yes, this is the Dancer's car! You are correct, when I purchased the car, it had been in storage for a considerable amount of time, and now unfortunately is still in storage as I do not have the time it deserves to get the car running. What does "EBF" stand for? Also, what antenna was used in other cars - I assumed they were vacuum? 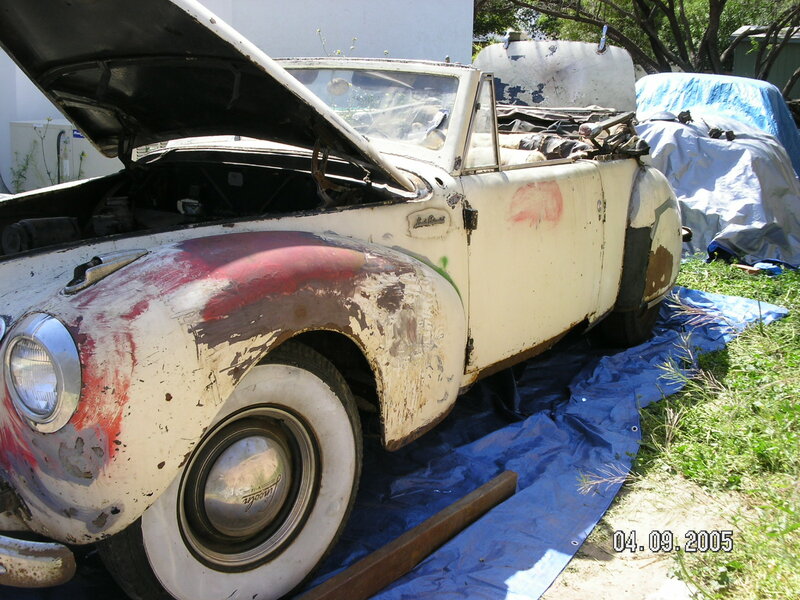 At least it's still intact and in my opinion you sold it for a very fair price allowing the next person to hopefully restore it. I TRIED TO FIND INFO ABOUT THIS DRAPER, BUT NOT MUCH ON THE WEB. THE CAR HAS A VERY RARE VACUUM ANTENNA OPTION...MOST DO NOT. IF U ARE SELLING / RESEARCHING THE CAR, CHK WITH DAVE COLE, HE IS A WEST COASTER AND GURU OF ALL THINGS CONTINENTAL. (TWOTZ EDITOR) IN THIS AGE OF CELEBRITY, THE HISTORY OF A CAR SEEMS TO AFFECT $$$ IN THE INFLATED OLD CAR MARKET. I THINK ALMOST ALL POSTWARS HAD THEM. I HAVE NEVER SEEN ANOTHER IN MY LIMITED EXPOSURE TO CONTINETALS. THE POSTWAR HAS FENDER MOUNTED UNIT, WHERE AS THE 40 /41 IS COWL MOUNTED AND THIS LIMITED SPACE, IT IS A MUCH NARROWER UNIT. Hey Guys have not been around for a while but i guess i am back. Just bought another 1942 lincoln but this time its a four door not worth as much has an postwar grill and bumpers but it cost me $400.00 and the owner is going to deliver it. My wife may divorce me but what can i say?? if you dont remember i have a 1942 3 passenger coupe. So my point is there are deals to be had you just have to be really lucky. ricko ps i will post pics of both shortly. Better tell the buyer that, he is going to chop it up for parts and dump the rest! The poewer antennae can be repaired by Klaus Wojak. I think he lives in NC, and he charges about $350 a pop. They come back looking new and He guarantees them for one year. I have been able to fix my own , but I need a source for 3 section masts with a base section 5/16" dia. by at least 22' long. Does any one have knowledge of where I could buy the masts?